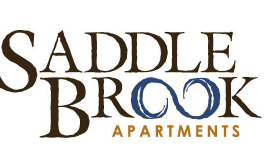 This month, the Saddle Brook Blog is bringing residents of our Pewaukee, WI apartments new movies to check out like Tomb Raider, Thoroughbreds, A Wrinkle in Time, and Red Sparrow. Buy your tickets online for a great weekend. Read on to learn more about these movies in today's blog post. Check out Red Sparrow this month on Friday, March 2nd at our local Pewaukee movie theater. “Prima ballerina Dominika Egorova faces a bleak and uncertain future after she suffers an injury that ends her career. She soon turns to Sparrow School, a secret intelligence service that trains exceptional young people to use their minds and bodies as weapons. Egorova emerges as the most dangerous Sparrow after completing the sadistic training process. As she comes to terms with her new abilities, Dominika meets a CIA agent who tries to convince her that he is the only person she can trust.” Red Sparrow is a great weekend movie to see. To find out what else is currently on the big screen (or coming soon), check out Movie Insider. Don’t forget the drinks and popcorn! Where is the best movie popcorn in town? What are you planning on going to? Have a review of something you’ve seen recently? Please feel free to share in the comments.